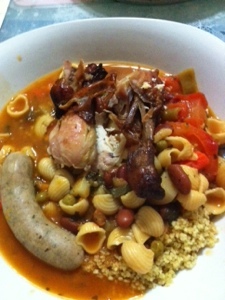 This Mediterranean North African (Algerian) Dish “Couscous” is healthy, quite popular in French cuisine. ♢ 5 mins in a hot pan (no oil). Don’t over cook. Couscous (\koos-koos) is a good healthy alternative of rice, and convenient too because it is instant to cook – I follow the Couscous package instruction: just pour hot boiling water (1:1) to couscous, covered with aluminium foil for 10 mins. Use a fork to fluff (搅绊松) it (optional to add butter or olive oil). Cover again till serving. You can replace Salmon by Tuna, Sausage, Chicken breast, etc. Merguez means Lamb Saussage in North African arabic. This is a lazy packaged Instant Couscous. The restaurant on the 3rd floor of the National Library (Victoria Street) used to serve this dish by the chef Susan Wong, who learnt French Cuisine for many years in France. 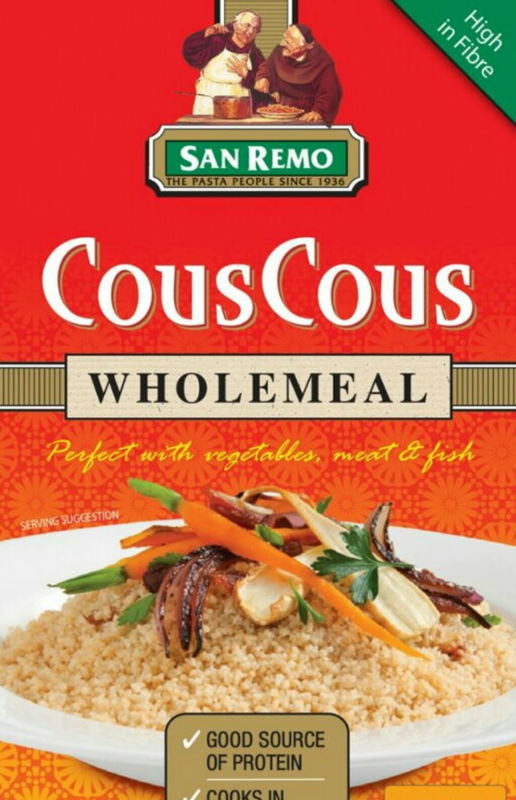 Singaporeans are unaware of this delicious Couscous dish, only see Couscous as a salad served in hotel buffets.